I need these leads as soon as possible! When will I receive them? 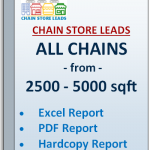 Chain Store Leads requires 24 hours of processing and then will ship the package with two-day shipping. Please keep in mind these time frames are business days. The earliest you will receive your package will 72 hours. Please also keep in mind of other elements that are out of our control such as: inclement weather, accidents, traffic, and other elements. How often do you update your leads? 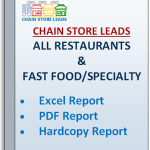 Chain Store Leads updates its database bi-weekly. Throughout the week we will add and change information, and on every other weekend we switch over to the newest data. You can be rest assured that you will always receive updated data. How many categories do you have? What is included in a company’s general contact information? In the company’s general contact information we offer the company’s name, company category, a contact name, phone number, email, fax, number of locations/stores, full mailing address, and url to retail website. Most often this information is general company headquarter information, but we often will place the best general person’s contact information to get in touch with about retail real estate. This often can be a franchise directory or business development manager, etc. The chain state contact information – this information is researched and pulled from that company’s list of real estate contacts for each state. Great question! First off we offer data that is primary research, not relied on any 3rd parties. This is so we end up with quality data as a base. Then we determine whether this company is ethical. This is done through research and news articles. If the company seems questionable, we throw them out. Next we look at the number of locations the chain has. Our competitors usually offer “4” or “5” location companies and claim they are chains. They try to pass on more data to you to make you feel like you are getting more value for your money. However, in reality, you will be wasting your time, and money (cost per mailing, personal time), etc. 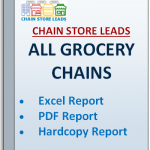 Our chains are 7 locations, almost double of our competitors. This means we will offer less chain stores, but they will be of higher quality. We also offer “growing only chains” which means if a company loses a certain % of total locations year over year, we toss them out. If a company is losing overall number of stores, they most likely are not interesting in expanding. Not to mention our competitors don’t offer 30 day money back guarantees on hard-bounces and they do not offer state real estate contact information. 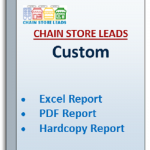 Of course there are many other differences as well, but we think this is reason enough to choose Chain Store Leads. 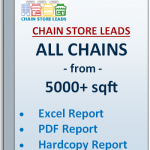 Please visit www.chainstoreleads.com/about-us/refunds to learn more. We will quickly reply and you should expect a response within 12 hours. I am sending out a mass-mailing. Are any of these mailing addresses outside the USA?